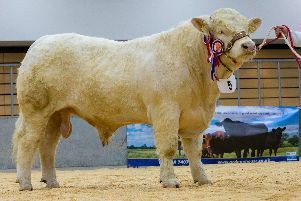 Aberdeen & Northern Marts will hold its annual show and sale of commercial beef breeding cattle at the Thainstone Centre tomorrow (Tuesday, October 2). The event, sponsored by James Milne Chartered Accountants, will see 300 adult head of breeding cattle go under the hammer, with the main part of the sale featuring 170 top-quality heifers with autumn calves. Leading annual consignments of Simmental cross heifers with Limousin calves at foot will be put forward from Towiemore (60), Lost Strathdon (37), Auchtygall (24), Fairburn (20), Ardhuncart (15), East Main Carseburn (12), and South Blachrie (11). The majority of these heifers have been individually tested and vaccinated for BVD. The sale will also include 45 cows with spring-born calves at foot, and 45 heifers and 40 cows calving in November and December. The show will be judged by Duncan Keir, Newton of Carnaveron, Alford, and begin at 9am with the sale following shortly after at 10am. John Angus, Head of Livestock at Aberdeen & Northern Marts, said: “We welcome an outstanding selection of strong quality heifers and cows with summer and autumn born calves at foot, including some with show potential at this annual event.